You are here: Home > Projects > Keep-on-track! 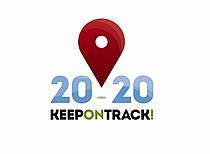 EUFORES - together with EREC and a consortium of 15 other partners from all over Europe - launched Keep-on-track! on the 30th of June 2012. In fact, this project is the follow-up project of REPAP 2020 and aims at developing mechanisms to help Member States "keep on track" with their 2020 objectives outlined in the Renewable Energy Sources Directive. It will provide up-to-date market data and policy recommendations alongside the trajectory outlined in the RES directive and a close-to-market monitoring of the fulfillment of the RES trajectory for each of the 27 EU Member States. It will also provide a platform for discussion and dialogue among different market actors such as the European and national renewable energy associations, the European and national Parliamentarians and the scientific community. The project aims at providing early warnings and policy recommendations in case a Member State is lagging behind its trajectory and does not manage to overcome identified barriers for RES deployment. In this case Keep-on-track! will suggest solutions how to compensate for any possible delay encountered. Keep-on-track is an Intelligent Energy Europe project. Please find more information on the project website here.